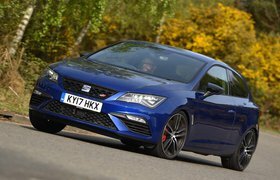 Both cars have generally comfortable driving positions with a good range of adjustment, although the Astra’s seats don’t hold you in place as well as the Leon’s through corners. Vauxhall also charges extra on its new cars for adjustable lumbar support – an important feature that the Leon comes with as standard. The Astra’s dashboard feels a bit classier, thanks to its tactile mix of soft-touch plastics and metal-effect materials. However, while the Leon’s interior is a little dour by comparison and its switchgear slightly flimsier, it has fewer buttons to get your head around. The controls for the air conditioning system are more straightforward, too. 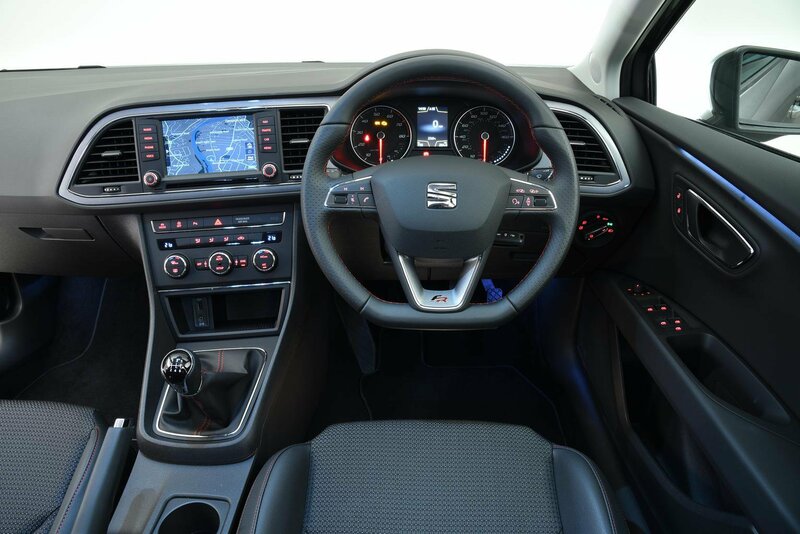 The Leon’s 6.5in colour touchscreen (which is part of the Technology Pack that Seat throws in for free with all Leon FR models bought privately) is fairly simple to operate, although there’s often a rather long delay between you pressing the display and the system responding. The Astra’s 8.0in touchscreen is that bit quicker to react to commands, and it's brighter, easier to see in sunny conditions and just as user-friendly. Both cars will keep taller rear passengers happy enough, but the Astra has more leg and shoulder room, and its rear seats feel less claustrophobic because taller side windows bring in more light. Bags from a big grocery shop won’t present a problem whichever of these hatchbacks you choose; both have similarly capacious luggage areas, and while the Leon’s boot is longer, the Astra’s is slightly taller. Annoyingly, though, both cars have big lips at their boot entrances that you have to negotiate, making loading and unloading heavy items awkward. Folding the 60/40-split rear seats in either car leaves an annoying step in the floor of the extended load bay, too.